What’s new in the updated EasyF?Old users with an expired subscription should follow this tutorial: Beginners guide. All accounts should be transferred to the new EasyF system by October 2013! Please register here: LINK. Please use the same old username from the old system. You can change your email or password if you want (it is recommended actually). 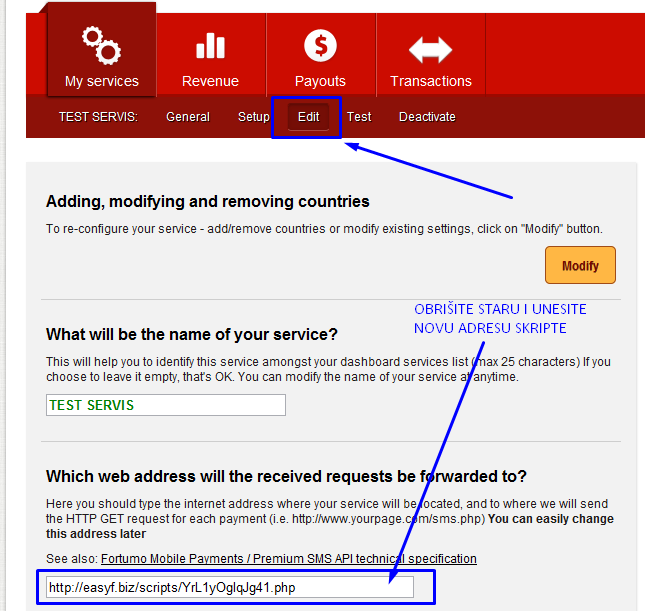 If everything is ok, you have successfully connected your Fortumo service with our new system! If you get into any troubles, you should contact our customer support here.